Hikari uses pharmaceutical free-drying techniques that give freeze dried foods as close to a fresh product that can be provided without needing freezing or refrigeration. 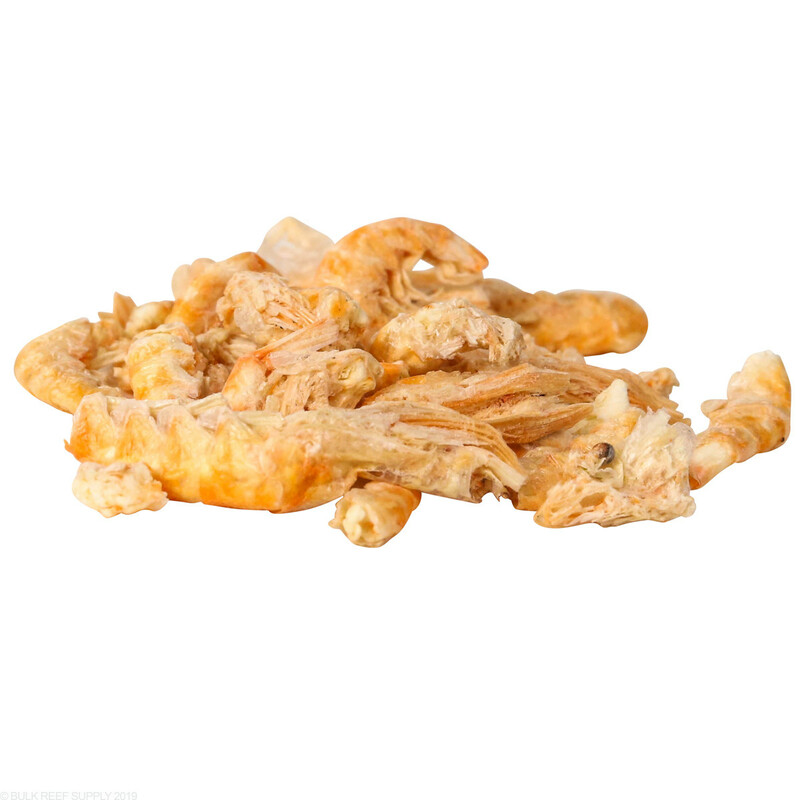 Freeze-dried foods are great for rounding out nutrition that other pellet or flake food may be lacking. 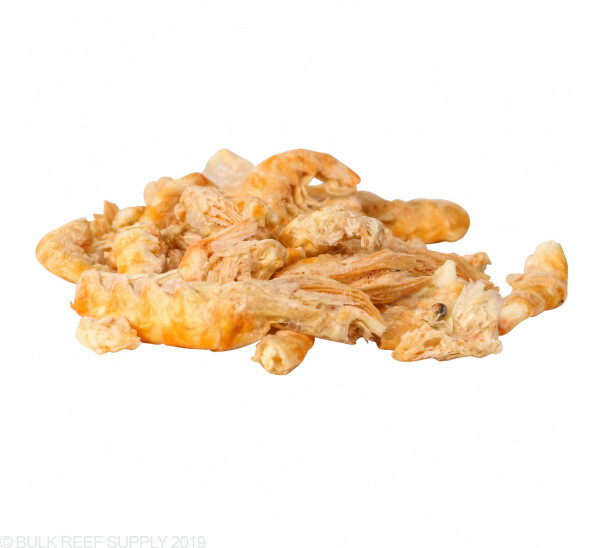 Try Freeze-Dried Bio-Pure Krill from Hikari as part of a daily diet or as a treat for your tank inhabitants. Vitamin-rich Krill will help reduce stress and stress-related diseases as well as natural enhancing the color of your fish. Feed no more than your tank inhabitants will consume within 3-5 minutes - up to 3 times a day. Hikari Bio-Pure FD products never contain artificial colors or preservatives. Use before the best before date. After opening, keep the container our of direct sunlight, high heat or humidity as this can cause the contents to degrade rapidly. For maximum success the contents should be used within 90 days of purchase and be kept tightly closed when not in use. First of all, whoever JB is, who left the bad review is an idiot and probably shouldn't own fish. 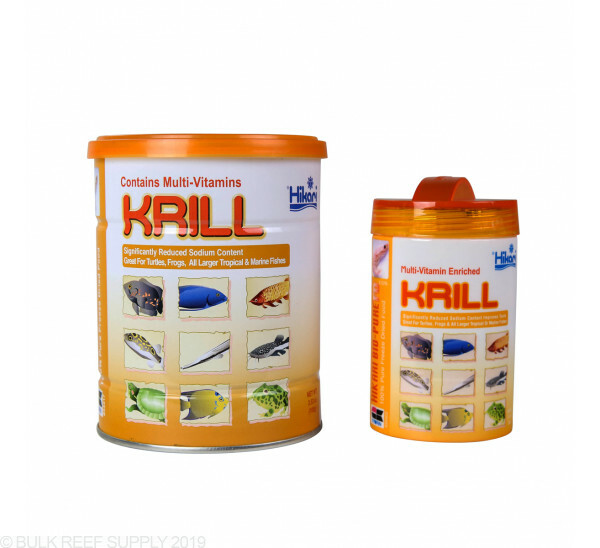 I feed this by hand to my fish, mini maxi sea anemone, orange Cycloseris & a treat for my Nassarius snails. For the snails I bury a couple of pieces in the sand. For the sea anemone & Cycloseris I gently place it on their tentacles until they move it to their mouths. I do this at night but still have to guard the food from my fish that seem to instantly wake up & want to steal the food. The pieces in my container are mixed sizes which works well for different critters. I would buy again & prefer this over the frozen stuff as it's quick to rehydrate & doesn't cloud the water. As the previous reviewer stated, it does float but my fish have no problem grabbing it off the surface of the water. My yellow tang loves it...but tangs love all food. It's possible that I am doing something wrong, but I just did not have any luck getting my fish to eat this. First problem is that it floats on the surface and would not sink. I tried soaking it for various amount of time from a few seconds to several hours without any luck. Hydrated krill just floats and does not sink, making it hard for most of my fish to notice it. Second issue is that pieces are rather large and even when hydrated, do not become soft. Few of my fish that did see it tried to nibble on it, but lost interest very quick. Next time I chopped it up into smaller pieces before soaking, but had same poor results. Makes me wonder if I am missing something painfully obvious, cause I just can't imagine this product being this bad.